The whole weekend was centered around how we can better understand God’s Word, especially in the way we teach and the way we learn. To be humble is a difficult task for almost anyone, but for the Christian it is necessary and refreshing for the body of Christ. To consider others more important than yourself, as Paul writes in Philippians, is the assumed posture that was needed at the Equip Conference recently. For the teacher in attendance, the main question is, “Am I teaching in such a way that others will be able to learn?” Equally, for the student in attendance, the main question is, “What can I do (or not do) so that I can learn better?” An extra measure of humility is needed for both situations. Dr. Stephen Estock is the Coordinator of the Committee on Discipleship Ministries for the Presbyterian Church in America and was our speaker for the weekend. His passion to see the light of the Word of God transform the lives of God’s people was winsome and compelling! 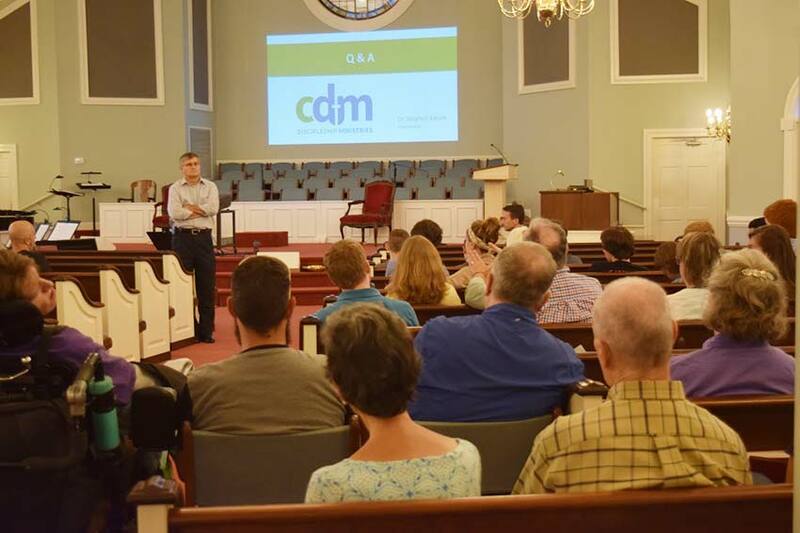 On Friday night Dr. Estock began the weekend by helping us understand that Christian discipleship must involve the ministry of the Word of God in the context of relationships. Without a relationship, there will only be transfer of information that may or may not lead to life transformation. On the other hand, without the Word of God there will only be social engagements. Without a doubt the Holy Spirit is the greatest communicator of all time. When the Holy Spirit moves, dead people come to life; slaves to sin become free in Christ; those who are living in darkness are brought into the light of life; and those who are drowning in despair come to find hope. Outside the work of the Holy Spirit, Dr. Estock helped us see there are other important aspects in teaching situations. The baggage that the students and teacher bring into the learning situation, the environment and setting of the classroom, and body language all impact the way people learn. We ended the night with a great picture of the diversity found in the body of Christ. By answering a series of questions, we were able to understand how we learn individually. Each person was then asked to move to a corner of the room according to their style of learning: Analytic, Common Sense, Collaborative, and Dynamic. It was quite interesting to see the four corners filled with various personalities and how people learn in different ways. 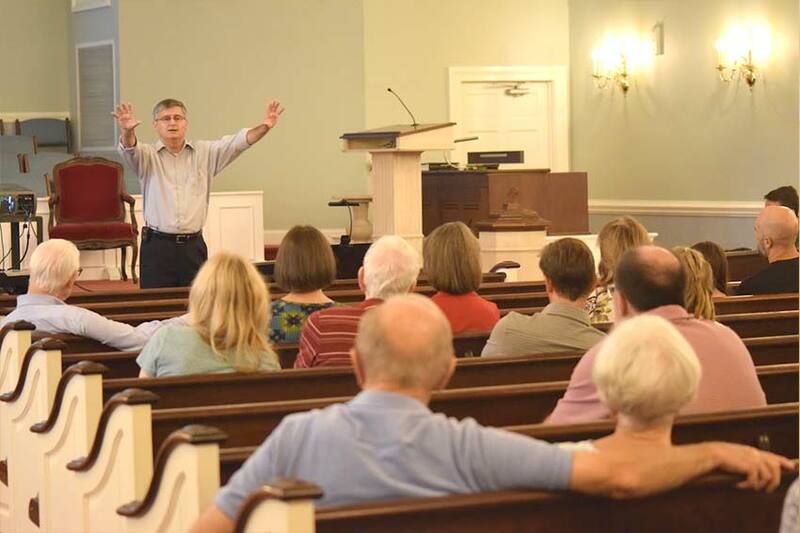 Finishing out the conference on Sunday evening, Dr. Estock fielded questions from the congregation concerning the material from the conference or questions on discipleship in general. There were many good questions, but one sticks out clearly to help us see the need for diversity in our church and in our teaching.